Turkey & Vegetable Kibble is a cereal free complete and balanced food for dogs with extra sensitivities. The white meat goodness of turkey is highly digestible and peas and potato supply additional protein and carbohydrate. We also add JW+ to help lubricate joints. 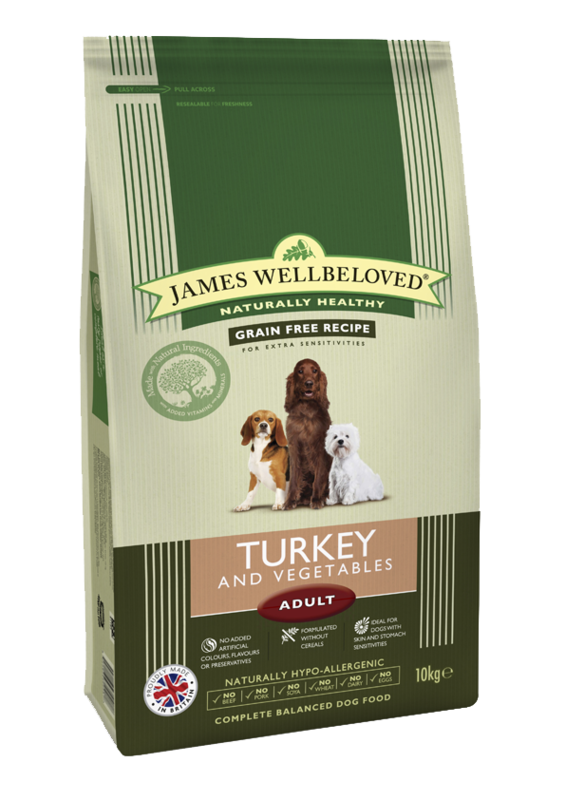 The fantastic palatability of Turkey & Vegetable Kibble means that it is also suitable for fussy eaters. Contains: Min. 26% turkey, min. 26% vegetables, min 0.3% JW+.